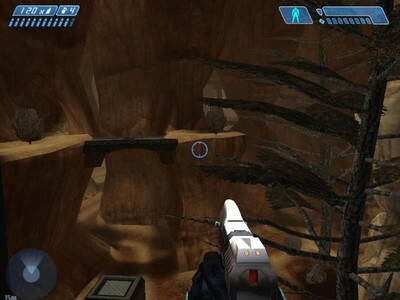 Description: The Narrows are found among the mountain desert paths of Halo. Narrow passages lead from base to base with caves pocketing the canyons. 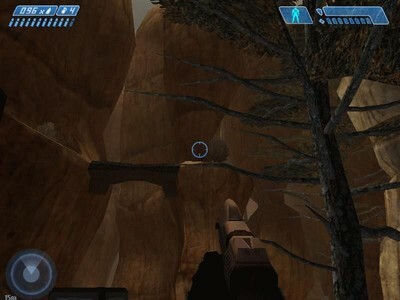 The Narrows are found among the mountain desert paths of Halo. Narrow passages lead from base to base with caves pocketing the canyons. Beware of death from above! A little hint, after entering the center teleport, go straight and turn right to continue forward, turn left to go back where you came from. It works from either direction. All textures, except the sky and teleport are original, as are all the scenery objects. Thanks to Neurokoneza and M4573R5 1337 for their critiques and testing my map and those of CMT that tested the map as well. Special thanks to Oshetsky for his technical advice on radiosity streaking. Special thanks to Omgenocide for the d40 sky. It adds a lot to the mood of the map. and thank you to anyone that I might've forgotten!